Are women deadlier and more lethal than men? Join crime writers Sophie Hannah, Alison Bruce and Emily Winslow at Heffers as they discuss whether, in their opinion, this is the case – and whether there’s still a place for women-only publications and prizes in the crime fiction genre. This event is taking place to coincide with the publication of Deadlier, an anthology of 100 stories by female crime writers, and to celebrate the release of Sophie Hannah’s latest novel, Did You See Melody? “Heffers’ celebrated Summer Crime Fiction party, What’s Your Poison? 7:30 PM PERSONAL APPEARANCE | Open Mind Book Evening at St Andrew’s Hall, Chesterton, Cambridge. Wine and refreshments. 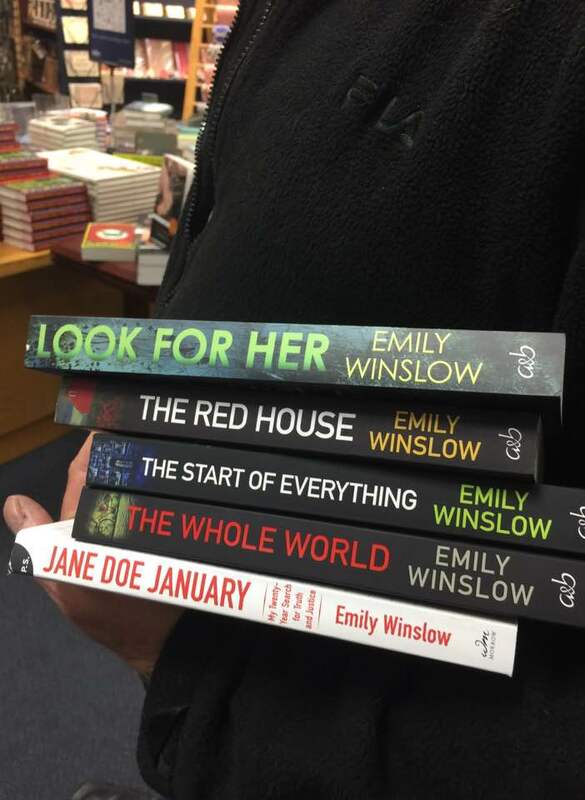 1pm RADIO | Bookmark radio show with Leigh Chambers and Menna van Praag–The studio guest is crime writer, Emily Winslow. Set in Cambridge, Emily’s thrillers bring together a tangle of stories and misunderstandings to create a complex, and often dark, world. We also speak to photographer, Tim Rawle, about his latest book on the architectural history of Downing College. And Professor Ulinka Rublack from St John’s College talks about The Astronomer and the Witch, her examination of one of the most famous witchcraft trials of the 17th century. 6:30 PM PUBLIC APPEARANCE | Heffers bookshop presents the What’s Your Poison? summer crime party 2015. Among the authors appearing will be Susan Grossey, Nicola Upson, Mandy Morton, Mike Ripley, Oliver Harris, Jeremy Cameron, Kate Rhodes, Timothy Williams, Peter Murphy, Emily Winslow, Peter Lovesey, Len Tyler, Barbara Cleverly and B K Duncan. Join us for an (unpoisoned!) drink and an evening of literary murder and mystery. PERSONAL APPEARANCE | Meeting with Books Afoot, a trip of the BookWomen Center for Feminist Reading from Minnesota. Launch day for The Red House in hardback from Allison & Busby.